The Muriel McQueen Fergusson Centre for Family Violence Research has spent the past 25 years leading the way towards a solution to violence against women and children, a milestone it marks on March 8, International Women’s Day. Through collaborative and action-oriented research, has shaped policy and service delivery, as well as provided the basis for education and training materials. The centre translates research into information that’s easily accessible to the public. MMFC and its partners have contributed to society’s understanding of the different forms of family violence, the effects of family violence on women’s equality, and the different contexts which shape the services available to victims and perpetrators. “When the centre opened its doors 25 years ago, violence against women was not an acceptable topic of conversation. We believe we have had a hand in changing the conversation,” said Dr. Cathy Holtmann, director of MMFC. 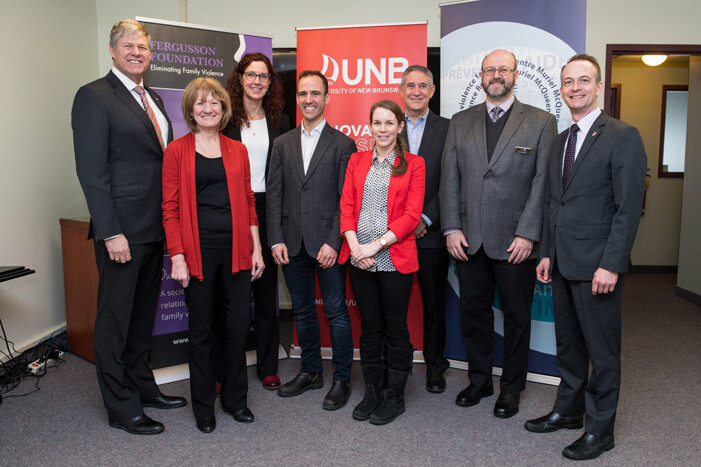 The centre, located on the UNB Fredericton campus, is the result of a unique partnership between UNB’s faculty of arts and the Muriel McQueen Fergusson Foundation. It is named for the first female Speaker of the Senate of Canada who lobbied for social justice for women and families. On International Women’s Day, the Muriel McQueen Fergusson Centre will hold an anniversary celebration beginning at 10:30 a.m. at its headquarters at 678 Windsor St., Fredericton. The event will include remarks by representatives from MMFC, its community partners and government, and feature a video promoting the centre’s work and history. “The work of the MMFC embodies the International Women’s Day theme of #PressForProgress when it comes to the problem of violence against women. We’ve seen a great deal of progress over the past 25 years and we will continue to press for more,” said Dr. Holtmann. The anniversary celebration is the first of many planned events to mark 25 years of changing the conversation. These include an event with Nora Spinks, president of the Vanier Institute of the Family, and the release of a commemorative book.